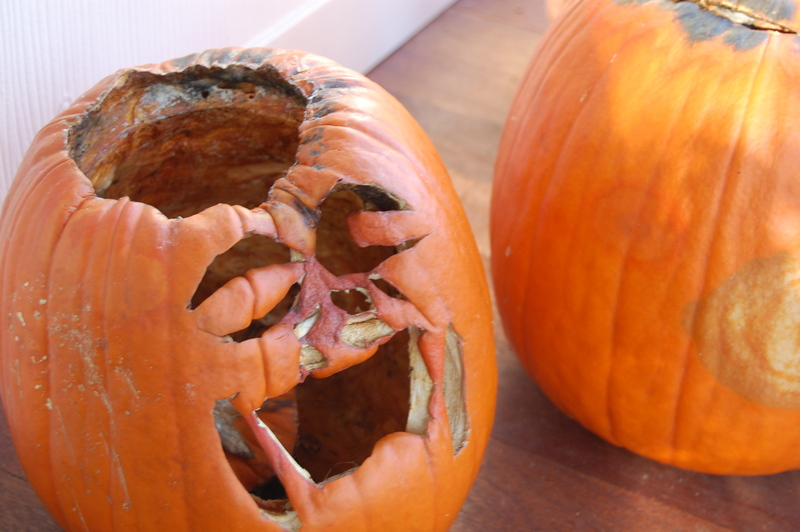 What happens to your Jack O'Laterns three weeks after carving? This. It would have been fun to do a stop motion video and watch the pumpkins totally implode. I esp. like the look on this guy’s face. He appears to be lamenting his own demise. I’m lamenting the plight of the working poor in an era of increasing economic inequality and rising uncertainty. But thank you so much for assuming I’m a self-centered fruit like so many vine-ripened tomatoes. I think this might be the first year in which our pumpkins did not end their fate this way (and then in a liquified mess on our entry landing — which is made of concrete, so isn’t quite as gross as if a wooden porch received the mess). Aren’t there squirrels in New Jersey? 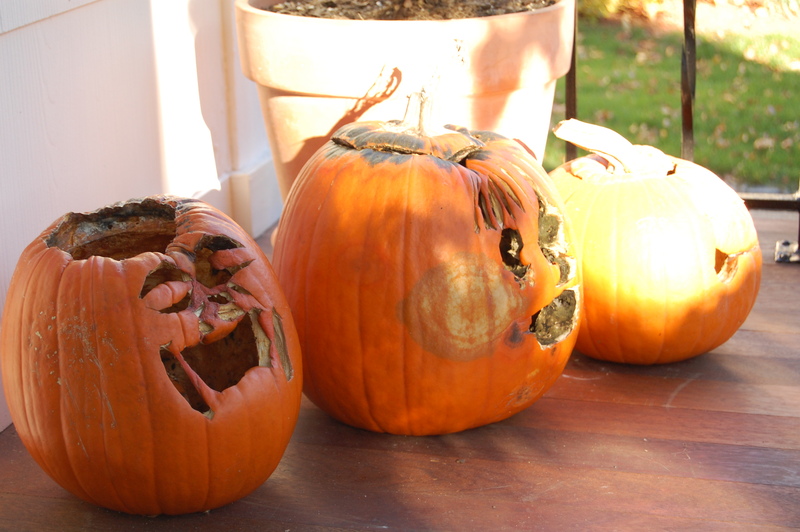 Our pumpkins get gnawed faceless and then we toss them to limit the mess on the porch. They probably look scarier now than they did on Halloween night!